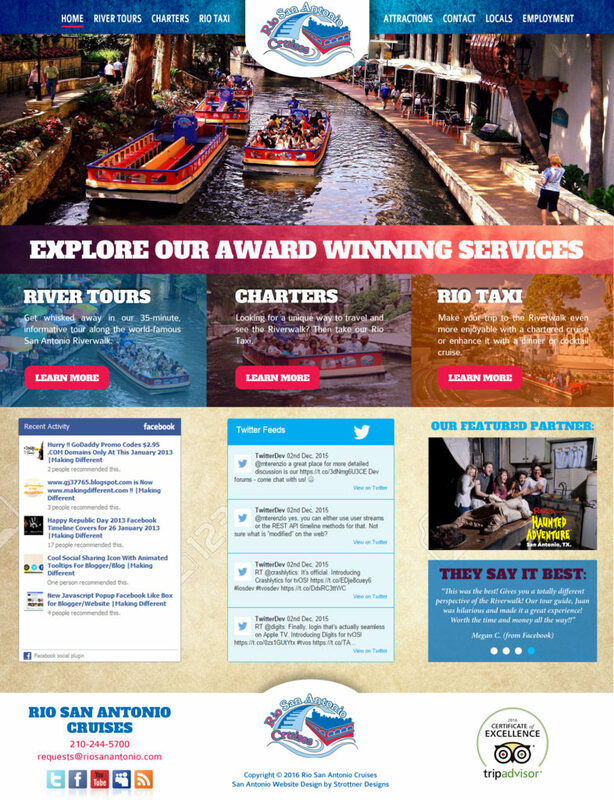 Rio San Antonio Cruises (RSAC) is the official river cruise operator on the San Antonio River in downtown San Antonio. They have been providing river cruises, taxi services and dinner cruises to San Antonio residents and tourists for over 20 years. Recently, RSAC decided that they needed an updated online presence so they turned to us to design and build a new website that was much more exciting, colorful, easier to navigate (just like downtown), showcases all of their services, and provide live boat tracking. 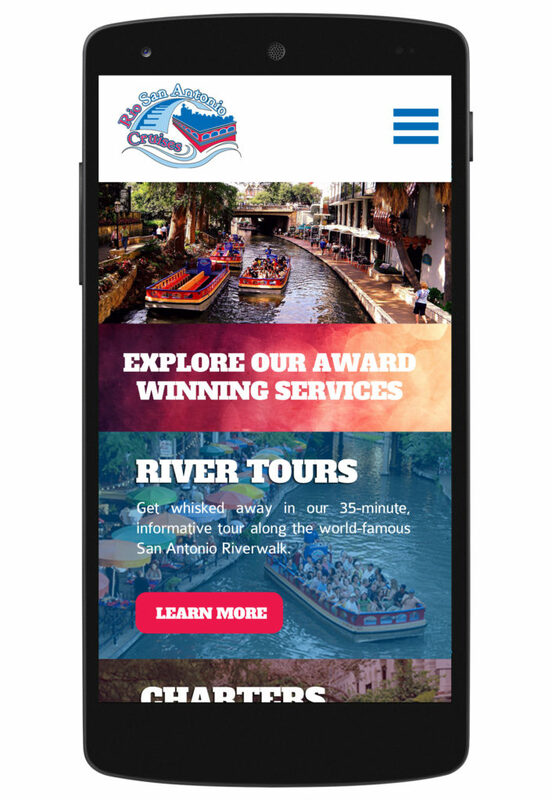 Of course, the site needed to be completely responsive for mobile devices, as most of the users of the site are on their phones looking up things to do in downtown San Antonio. We also made the website a web-app which allows users to download the site to their mobile phones with their icon so that it can be pulled up as easy as an app from the app store. 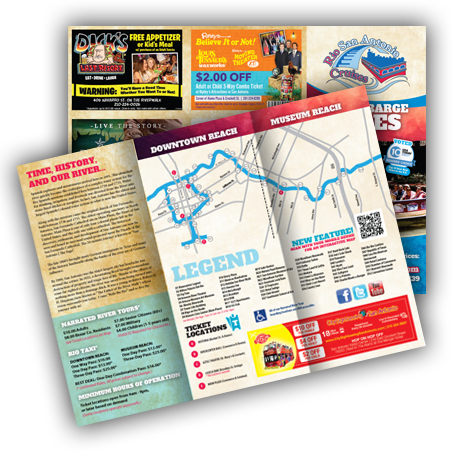 RSAC loved the website so much that they asked us to expand the new look to a new river route guide brochure (which was distributed to all area hotels and tourists spots), stationary, business cards and downtown signage at their ticket booths.